My first two days in Auckland involved a welcome from Heritage Auckland and the first day of TRENZ 2014, the city’s bustling travel trade show boasting 300 exhibitors and more than 260 buyers. From a “high tea” function at the 100-year-old Heritage Auckland to the many exhibitors I met at TRENZ, it was a fascinating first two days in the business capital of New Zealand. I certainly learned a lot about what the great country of New Zealand has to offer, and I hope my recap of my first two days in Auckland will sufficiently give you a glimpse of the latest happenings and businesses in Kiwi/kiwi country. My first day in Auckland began with a welcome high tea function at Heritage Auckland. I was able to meet some folks from Tourism New Zealand, including Jemma Taylor and Paula Charmley, as well as staff from Heritage Auckland. Heritage Auckland celebrated its 100th anniversary in April. It was first built as a warehouse and turned into a retail store in 1920. Its legend grew from there, sprouting a children’s playground, roof-top tearooms, a parrot named Hector and a popular Christmas parade. In 1998, it was turned into Heritage Auckland. Te Puia, based in New Zealand’s cultural mecca of Rotorua, is a cultural staple of New Zealand. The site is home to New Zealand’s Arts and Crafts Institute, a live kiwi enclosure and more than 500 geothermal features, including the world-famous Pohutu Geyser. Te Puia’s guiding legacy spans back five generations, offering wood carving, bone carving, weaving and waka building. It has been conserving the native kiwi bird since 1976 and began a breeding program in 1999. You can also learn about the Maori culture at Te Puia and eat food cooked by a natural steam vent. Heck, there’s even Wi-Fi on-site. Ruapehu is a region on the North Island that offers a plethora of outdoor activities, including mountain biking, hiking, river sports, and skiing. The region includes two of New Zealand’s widely publicized cycle trails, “Mountains to Sea” and “Timber Trail.” It also includes two of nine of New Zealand’s Great Walks. On your adventure, you will go through the wilderness via suspension bridges and tunnels while catching sight of kiwis and blue ducks. Ruapehu was a main location for the last Hobbit film. Sandy Waters, the marketing and communications coordinator I talked with at TRENZ, advised to leave at least two nights to stay in the region because there is so much to do. Visit Ruapehu offers an all-in-one booking process to make it easier on guests. I was also able to sit down and talk with Tourism New Zealand CEO Kevin Bowler on the first day of TRENZ. Bowler, who has a background in market research, has been leading the effort to increase New Zealand’s tourism numbers (the country is hoping to have a $41 billion industry by 2025). Outdoor adventures such as bungee jumping, jet boating and rafting have always been popular draws, but the recent introduction of ziplining has also been very popular among visitors. As Bowler noted, most of New Zealand’s cycle trails were just introduced four years ago, so that initiative is just getting off the ground. Tourism New Zealand has been focusing more on the cruise industry lately, as well, considering the country is a prime cruise destination, given all of its ports. The institution has also been targeting special interest groups lately. Bowler pointed to the Lord of the Rings/Hobbit series as being of substantial help to New Zealand tourism. Approximately one in five visitors arrived to the country in 2013 because of the series, according to Bowler. The impact of 16-year-old sensation Lorde has also been felt, Bowler said, and Steven Adams being welcomed into the NBA by the Oklahoma City Thunder didn’t hurt, either. Guided Nature Walks, located in Queenstown, has been a hit in New Zealand and winner of multiple tourism awards. Participants of “You vs. Wild” are invited to test their outdoor survival skills in New Zealand’s rugged and lush country. Participants have included American soldiers and even Irish riot policemen. One time, when a boy went pig hunting with his family, he got lost. But he remembered the lessons of Bear Grylls and the Hitchmans and found his way back to a nearby town. A boy who had just undergone a lung transplant also participated in an abbreviated version of “You vs. Wild,” which ended up growing his confidence after the operation. Peter and Karyn said they were interested in the company because they were looking to be independent. Peter is a fascinating fellow. His background includes a stint as a bodyguard for Duran Duran, which he joked prepared him for the harsh outdoors. He also gave me a metal rod that you can strike and instantly spark a fire (he demonstrated on a piece of tin at TRENZ, much to my amusement). I met with several folks from Destination Great Lake Taupo at TRENZ. Destination Great Lake Taupo is the regional organization responsible or promoting Great Lake Taupo, located on the North Island. If you are into the outdoors, Great Lake Taupo is for you. From Huka Falls to Tangariro National Park to Lake Taupo itself (the largest freshwater lake in the Southern Hemisphere), there is plenty to accommodate the adventurer. Outdoor activities include mountain biking, hiking, skiing (the biggest ski area in New Zealand) and white water rafting. Golfing is also big, as Great Lake Taupo holds two international golf courses, including the only Jack Nicklaus course in New Zealand, Kinloch Club. Lake Taupo itself was created by a volcanic eruption. 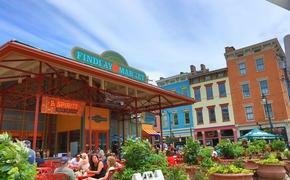 You will also find many cafes, restaurants and retail shops scattered about the area. Destination Great Lake Taupo focuses on luxury experiences. 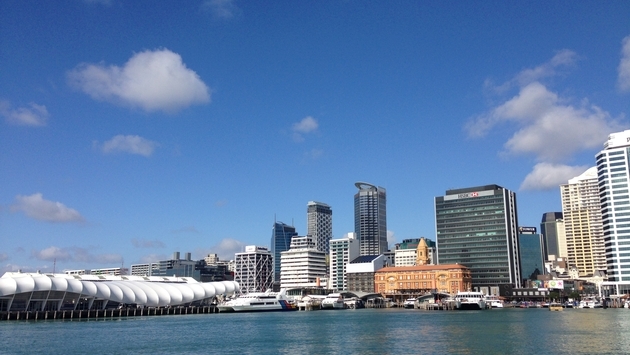 Auckland Tourism, Events and Economic Development—or ATEED—specializes in promoting Auckland’s economic growth. ATEED is one of seven CCOs (council-controlled organizations) set up by Auckland Council focused on a specific mission. The organization also works with CCOs such as Waterfront Auckland, Regional Facilities Auckland, Auckland Transport and Auckland Council Investments Ltd. The beauty of Auckland is that it is part business center, part “natural playground.” The “surprise aspect” of Auckland is that ziplining, abseiling (or "rappelling" if you prefer), and seaplane rides are just minutes away. ATEED also works extensively with travel agencies (including Virtuoso) and has focused recently on creating authentic experiences for visitors and clients. A Ritz-Carlton, Sofitel and waterfront hotel (yet to be named) are in the works. Choice Hotels Australasia—representing the Econo Lodge, Comfort, Quality, Clarion and Ascend Hotel Collection brands—boasts 35 hotels in New Zealand alone. Its Quality hotel in Wellington has received numerous accolades, and the branch of Choice Hotels International also has Quality and Comfort hotels that have sprouted up after the massive earthquake in Christchurch in 2011. It’s all about creating an “authentic feel,” said Aileen Cobern, general manager of distribution and revenue, Choice Hotels Australasia. Choice Hotels Australasia also offers free Wi-Fi, works with several charities and has been lauded for being particularly accessibility-friendly. The staff in Wellington, for example, knows sign language. Choice Hotels Australasia also works extensively with travel agents, offering commission. Last but certainly not least, I met with Art Deco Trust on the first day of TRENZ. Art Deco Trust was established in 1985 to promote and preserve the Art Deco buildings that were reconstructed after the earthquake of 1931 in Napier. Art Deco Trust reflects the passionate community of Napier. It’s hard to believe that it took just two years to construct 180 buildings after the earthquake of 1931, but it really did happen. The city itself boasts a vast collection of art and vintage cars from the Depression. Tremains Art Deco Weekend has become world-famous for its honoring of Napier’s past. During the event, the entire city is turned into its former self, as bank tellers and shopkeepers dress up and even the local newspaper will change its font to reflect the times. Vintage cars, airplanes, steam trains, Great Gatsby picnics and free concerts are included in the 200-plus events during the weekend. There are even “Depression-style dinners,” where visitors dress in sacks and eat from tins. More than 40,000 people showed up at the annual event in February.